Chairman and Team Principal, Dr. Vijay Mallya, talks about the team’s hopes for Silverstone. We arrive at Silverstone off the back of one of our strongest performances of the year in Valencia. The car was competitive in practice, we qualified in the top ten and finished in the points. It was proof that all our hard work to improve the car is starting to pay off. In fact, the progress we have made since Monaco has given us the reassurance that we are moving in the right direction. For this weekend we will look to repeat the high of Valencia. The car continues to evolve and we will also have to see what happens with the changes to the regulations regarding blown floors. It is something that will have an impact on all the teams and we will need to assess that. But our motivation is high and we are ready to build on our momentum. 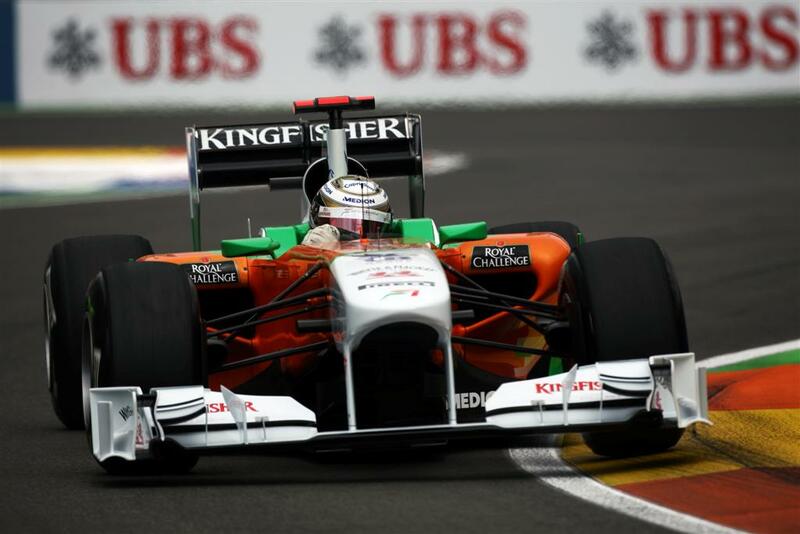 The British Grand Prix is always a very important weekend for Force India. Our factory is just a stone’s throw from the Silverstone circuit and there is always great support for our team and drivers. Although India will be our proper home Grand Prix, Silverstone has always been a home away from home for us and I’m thoroughly looking forward to it. Paul Di Resta gets set for his very first British Grand Prix as a Formula One driver. Coming to Silverstone as a Formula One driver will feel very special. It’s going to be one of the highlights of the season and a very busy weekend. Silverstone is not a track where I’ve raced at much in the past. My only race to date has been on the national circuit in a Formula Renault. So when I drove in free practice last year it was my first experience of the full Grand Prix circuit. It’s a great lap and a place where you can really feel a Formula 1 car excel through the quick corners. And this year, with the new layout, there’s a high-speed end of the lap so it will be interesting to see how the tyres hold on in qualifying. I remember last year that the atmosphere was just incredible. The British fans love Formula One, the grandstands are always packed and the whole place feels alive. I can’t wait to feel that buzz again this year. My target is to hopefully make the top ten in qualifying. We’ve been there or there abouts for the last few races and we need to be there if we want to fight for points. Adrian Sutil looks forward to racing on one of his favourite circuits. Silverstone is a great circuit. I like the high-speed section through Copse, Maggots and Becketts, which feels very nice to drive. It’s definitely a place where you feel the performance of an F1 car. And after three street circuits, it will be a nice change to be back at a traditional old-school circuit. They changed the circuit last year and I have to say I enjoy the new layout just as much as the old one. The new turns one and two make up a really quick right-left chicane and it’s taken almost flat in qualifying. I also think that the new layout makes it a bit easier to overtake because the old lap was so quick that it was almost impossible to follow a car closely. Of course it’s also a very busy weekend because our factory is next to the circuit. It gives me a chance to spend quite a bit of time there in the build up to the race to see the people who don’t come to the tracks. We always have a barbecue at the factory over the weekend, which I usually go along to. It’s time to get to know Paul’s race engineer, Gianpiero Lambiase, a little better as he answers our questions…. Which was the first Grand Prix you attended? It was Silverstone 1987 – I remember seeing that famous move by Mansell on Piquet in the closing laps. I used to play drums in a band. We appeared on BBC radio and played several top venues but were never signed by a label. What’s the best thing about working in F1? I’ve always produced my best work under pressure and in F1 the pressure is always on. Do you have any superstitions or unusual habits? I’m an obsessive-compulsive, much to my wife’s frustration. Wine. I hope to own a vineyard one day – it’s part of the retirement master plan. I have a passion for contemporary design and architecture. How do you switch off from F1? It’s very difficult to switch off completely. I find cooking immensely relaxing, although I do put myself under pressure to deliver.